Often the best snacks or party appetizers are the simplest ones that highlight fresh, raw ingredients. With spring in full force and my local farmers market having just opened up, I wanted to taste the season. Literally. 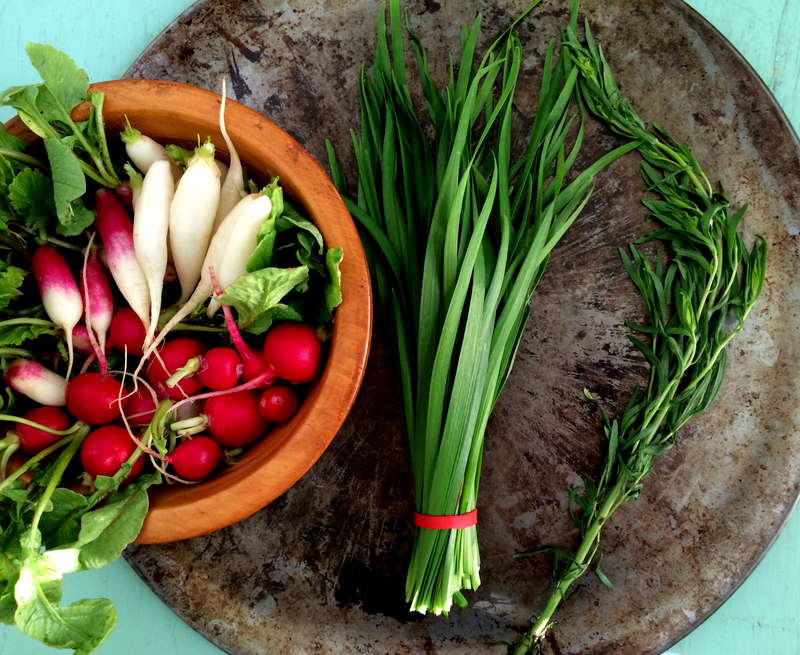 I found three kinds of radishes from one vendor and tarragon and garlic chives from another. These had to join forces somehow…but with minimal manipulation. 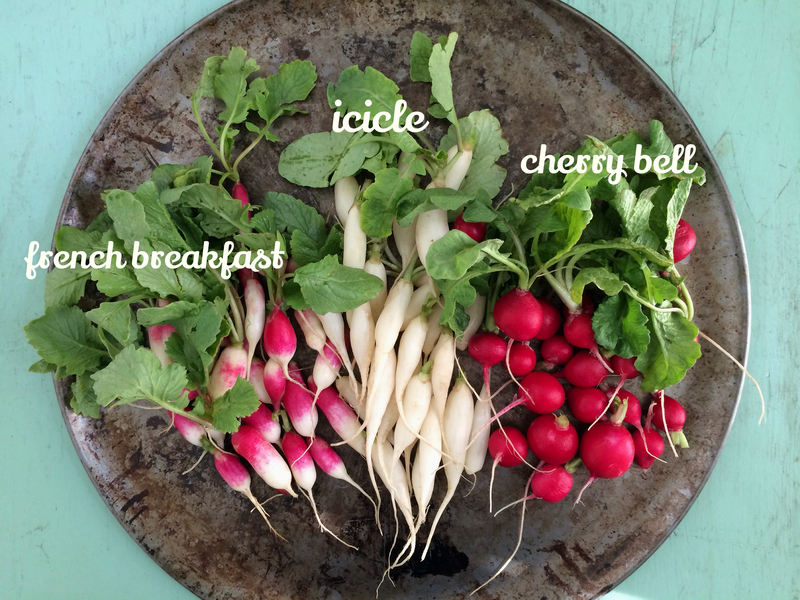 The three radishes varieties I used are french breakfast, icicle, and cherry bell. They have subtle flavor differences between them: french breakfast is mild with barely any spiciness, the icicle was sweeter but also a bit spicier, and the cherry bell had the strongest flavor but still not too spicy. The green tops can be eaten, too. You can use them in salads, soups or stir frys. 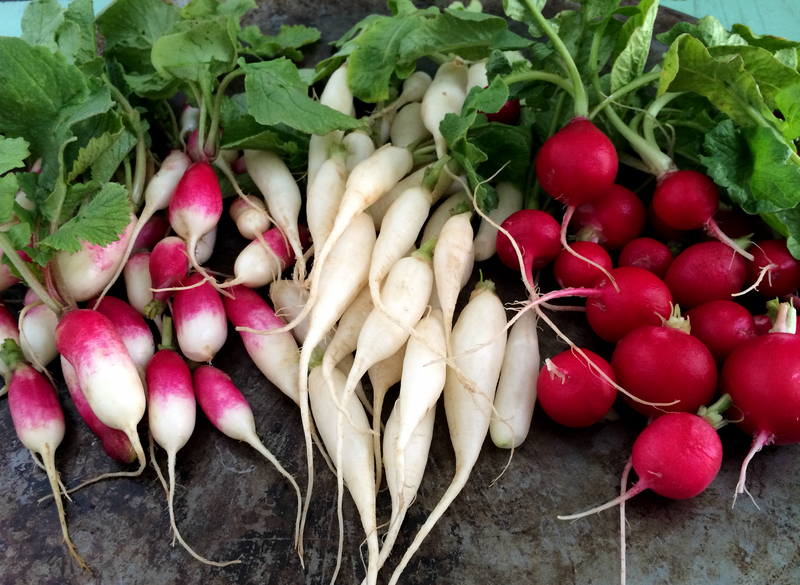 For more information about radish varieties, check out this link. I didn’t want to curb that peppery crunch of the radish one bit — it’s something I get really excited about when spring arrives — so I knew I wanted to leave them raw. And as soon as I saw the tarragon I immediately thought of making tarragon butter. Radishes are frequently served raw with butter (which has actually always seemed a bit odd to me and I’ve never tried it), so I decided to give it a shot and add that herby boost. The garlic chives were just begging to be included. I can’t say no to garlic…even if my breath tells me different. Give me garlic breath, or give me death! The garlic chives are a new find for me. And I’m in love. They look like tall blades of grass and have a faint garlic scent. Their flavor is more subtle than garlic cloves, but you can definitely taste the garlic. You can chop them up and use them in place of garlic or use them as you would regular chives. Sometimes I get lazy and don’t want to chop cloves of garlic, so these are a very handy substitution. Store them just like regular chives: in a plastic bag in the refrigerator. This incredibly easy snack is whipped up in no time. Chop the tarragon. Chop the garlic chives. Mix them into softened butter. Boom, done. 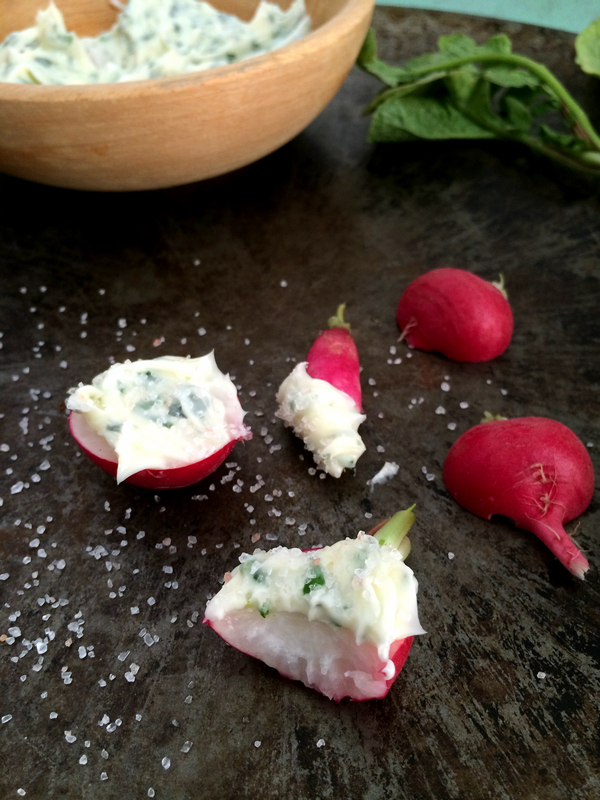 After dipping the radishes in the butter or spreading it on halved pieces, be sure to sprinkle with course or flaked salt. Do not forget the salt, it’s crucial! It brings all the flavors together as well as enhances each one. 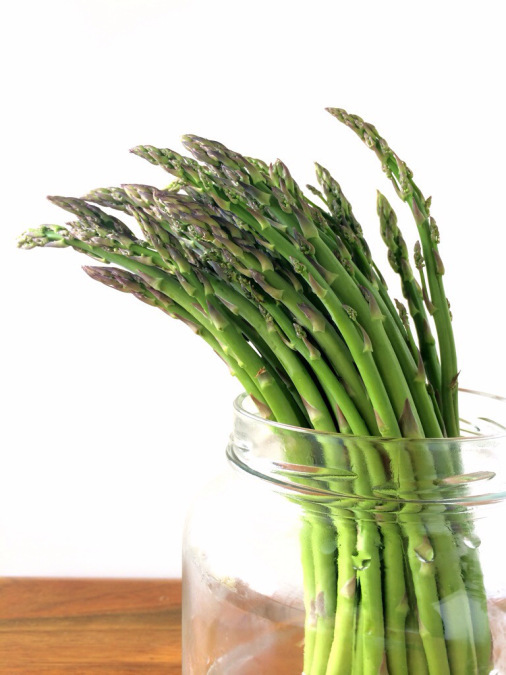 This would also be wonderful on bread (toasted or not) — spread with the herb butter, top with sliced radish and sprinkle with salt. Keep it raw. Keep it real. In a small bowl, stir the butter, garlic chives and tarragon until fully combined. 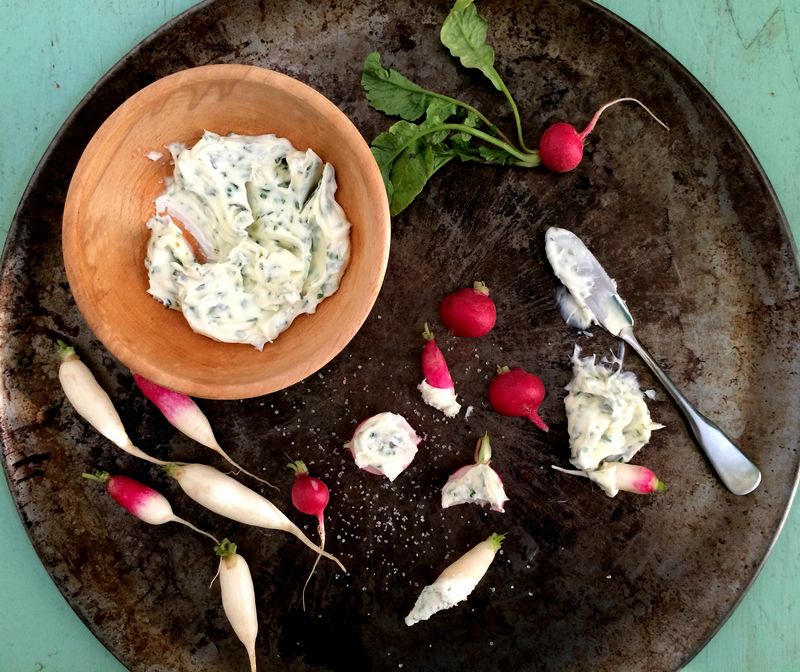 Serve with whole or halved radishes and sprinkle with salt or set out a salt dish to lightly dip buttered radishes in. Enjoy! 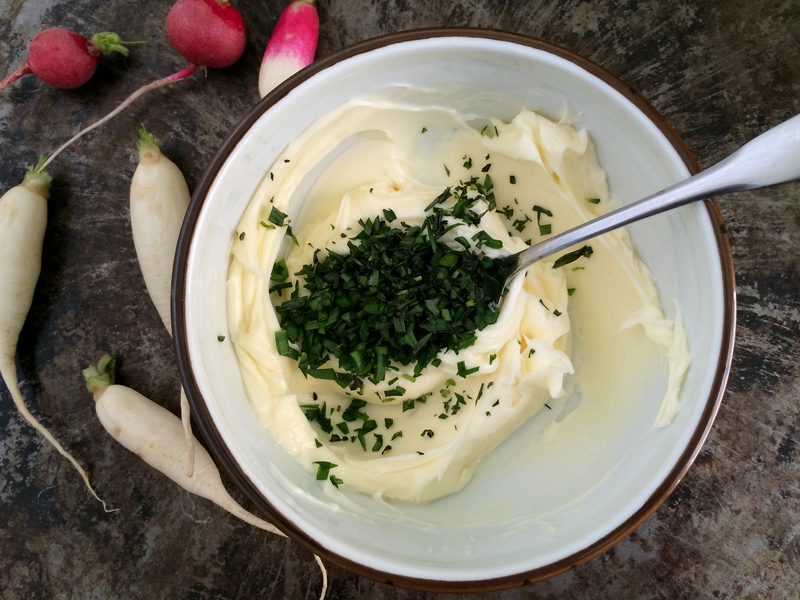 Love the tarragon butter idea! Also, these pics rock!